How Far is Trisquare Habitat? Trisquare Habitat brings a new level of glamour and sophistication to Coimbatore, offering attainable luxury in the heart of it all. 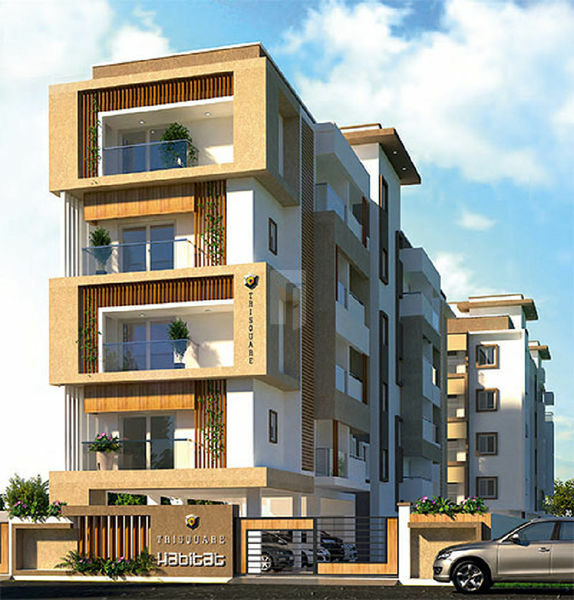 3 BHK apartments with opulent yet timeless architecture make up this limited collection of designer apartments. Meticulously designed spaces have been created for your ultimate comfort and enjoyment. Feel a sense of connection in this prime central location. Perfectly positioned just a brief walk to Tadagam Road and NSR Road. A thriving, cosmopolitan hub, it plays host to an eclectic mix of cafés, restaurants, retail attractions, entertainment and numerous major transport links. Trisquare Properties Private Limited is committed towards providing quality housing to our customers in an effort to match international standards. Our expertise in architecture and advanced construction knowledge enables us to deliver your dream house in a timely Manner, with highest level of transparency in dealings. Here we select every project with at most care and ensure that it is worth the investment you make. Selection of ideal location for projects coupled with our intelligent layout & exciting elevation will surely turn our project into a landmark.